This film has been doing the rounds for a few years now and had massive sales in Russia. It is the sequel to Winter Warrior but is less gritty. The Angle bad guys are more wimpy than in WW, but there are still some great moments - the coast and seascape scenes contain some very powerful images. The film has its flaws, its action is sporadic rather than sustained, there are no mass fight scenes, but it has an honesty of purpose, and a Christian streak running through it. The first film was made in response to the events of 9/11, with Bone Hunter as a follow up a year later. 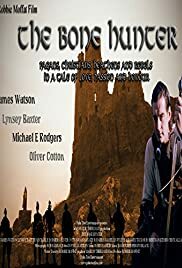 It is low budget British film making, but where the Celtic Warrior films have gone (includes the third film Axe Raiders), TV series like Outlander have followed, using many of the same ideas. The Bone Hunter and its two companion films remain the only British films to cover the arrival of the English raiders in the sixth century. That makes them interesting.